The functional benefits are really obvious – financial savings, less upkeep, etc. and they become obvious very quickly (which helps overcome some of the emotional shock of turning around and seeing your entire living space). 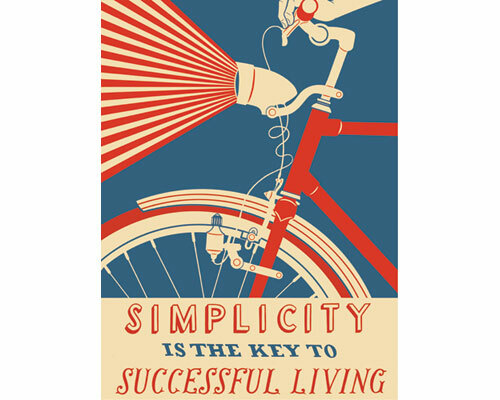 A good friend of mine suggested simplifying is all about a decision to live simply versus simply live. And it could be. But big thoughts usually take a while to incubate in our pea like brains (well … at least mine for sure). Possibly after a period of time it smacks you in the back of the head as such. But in the beginning it may sometimes just be simply that it is … well … simpler. Less choices. Less maintenance. Less expense. So it means you have more of other things … one of which is time. Ahhhhhhhhhhhhhhhhhhhhhhhh … but there’s the rub. We Americans rarely accept “free time” as a gift to relax but rather we fill it up with other things. Therefore this “smaller space frees up time” slips through the cracks in the consciousness pretty quickly. (but I bring it up with the hope you try and remember it as a positive). I simply consolidated my stuff and took the best of the best and created a space where I love everything that I have. My mother took a core favorite group of pieces and items, basically built her bedroom and kitchen with the comfortable stuff from her past things and then started from scratch in the living room (reupholstered comfortable chairs, bought new couch, used two of my paintings she liked, bought new lamps, etc). So she created a new look in her main living space. So once you get through the purging gauntlet you do have a smaller space, a simpler life and, frankly, a space you have difficulty finding fault with. While there are fewer things to fondle or juggle you have more to be happy with. It may sound odd but you don’t doubt any purchase you look at around you. And no matter how rich or material oriented you are there is a lot of satisfaction in “dollars invested well.” and smaller space living focuses you n this each and every day. Smaller space living ain’t bad. That’s the net of it. You find yourself in many conversations explaining your smaller space living arrangement. Ahhhhhhhhhhhhhhhhhhhhhh .. the harsh edge of perception versus reality. You had quantity of space = you were happy. You no longer have quantity of space = you cannot be happy. You spend a lot of time trying to explain to people something you have already gone through (the pain of the purge .. which you don’t particularly want to relive but are constantly forced to) to explain you are happy in smaller space living. They may be right. But more likely they are wrong. Sometimes you reach a point where doing something right for you just doesn’t seem right to others. Maybe at some point after we get through this depression (oops. recession.) people will accept smaller space living decisions as something like “living life simpler” choices but for now? Be prepared if you elect to do this. Hopefully over time #2 carries more weight in your life than 1 and 3 combined. As I did all of this myself within the past year I am not positive I have reached the balance yet. But I hope. And I am fairly sure it is a good place.